The Padres avoided a weekend and season sweep by scoring six times off the Phillies bullpen in a 9-4 win on Sunday. They had lost seven in a row at Citizens Bank Park. Nola and Morgan were winners in the first two games. Each has five wins. The Phillies are the only major-league team to have two rookies with at least five wins as starting pitchers this season, according to the Elias Sports Bureau. Since the All-Star Game, the Phillies are 23-17. 14 of those wins have come from rookies, including the last seven. Rupp has seven home runs this month, most for a Phillies catcher since Mike Lieberthal went deep eight times in August 2002. Five of Rupp’s homers have come in games pitched by Nola. Alec Asher became the fifth Phillies rookie to make his debut this season. That’s a club record. While he was tagged with yesterday’s loss (4 runs, 5.2 innings), he received an introduction on his first at-bat that hasn’t been done before. His dad, Bob, is the PA announcer at Joker Marchant Stadium in Lakeland, FL. Dad pinch-hit for Dan Baker and introduced his son. Herrera had his first four-hit game in the majors. He hitting .346 this month after .362 in July. The Phillies bused to New York on Sunday evening for three games in the Mets’ yard starting on Monday night. Phillies have lost seven in a row at Citi Field, including six this season. Their last win there came last August 30. For the season, the Phillies are 1-12 vs. the Mets. Rosters can be expanded starting Tuesday. Look for some arms for the bullpen which has been overworked, 24 earned runs on 36 hits in 27.1 innings during this seven-game homestand. Reading and Williamsport are headed for postseason play in their respective leagues. Clearwater is already there having won the Florida State League first-half title. 1B Brock Stassi was named the league’s MVP seventh Reading player in the team’s history to take league MVP honors, joining Darin Ruf (2012), Ryan Howard (2004), Marlon Byrd (2001), Jeff Stone (1983), Mark Davis (1980), and Greg Luzinski (1970). Dusty Wathan was named Manager of the Year. He joins Gary Varsho (2000), Al LeBeouf (1997), Bill Dancy (1995 & 1983), and Bob Wellman (1975) as Reading skippers who won the award. Stassi and closer Stephen Shackleford were selected on the league’s postseason All-Star team. Lost 2 of 3. Win (3-1) came Sunday at Syracuse, Sean O’Sullivan (4-2), 6-1-1-1-5-8. SV: Dustin McGowan (14). LP Saturday (2-1) David Buchanan (4-2), 7-4-2-2-2-3. Next: Anthony Vasquez (7-7) 7:05 tonight in Syracuse. Won 9-4 on Friday and 9-8 on Sunday and lost, 6-2, on Saturday to Bowie. WPs: Reinier Roibal (6-1) on Friday and Zach Elfin (8-6) on Sunday. RF Dylan Cozens, brought up from Clearwater on Friday, was 5-11 with a HR, 6 RBI in the series. 3B Angelo Mora, 4-11, HR, 2 RBI; hitting .400 in last 10 games. Regular season ends: September 7. After a rain out Thursday in Brevard County, won a DH on Friday. WPs: Ricardo Pinto (8-2) and David Whitehead (8-11). Miguel Nunez (7), 8-pitch save in 2-1 first game win; LF Andrew Pullin made a diving catch to end the game. Saturday was halted 4-4 after five innings. Game goes down as a tie as the two teams don’t play again. Sunday, rain out in Daytona. Next: Matt Imhoff (7-4) and Victor Arano (4-12) 5:05 DH this evening in Daytona. Regular season ends: September 6. Won all three, 4-1, 2-1, 15-8. WPs: Will Morris (6-0), Tyler Viza (5-9) and Ranfi Casimiro (8-7). 3B-1B Damek Tomscha, 3-11, 2 HR (7), 5 RBI, 4 R; hitting .382 in last 10. SS Drew Stankewicz, 5-6, 3 R on Sunday. C Deivi Grullon, HR (7), 6 RBI in same game. CF Jiandido Tromp saved the 2-1 game with a leaping catch that took away a game-tying HR. Next: Austin Davis (4-5) 7:05 tonight in Greensboro. Magic number to clinch the division is two despite dropping 2 of 3. Mitch Gueller (9-1) won on Saturday, 7-3, 5-4-3-3-3-5. 1B Brendon Hayden, single, double HR (3), 3 RBI, 2 R in that game. Next: Luis Morales (0-2) 7:05 tonight vs. Auburn..
Ended season with a 5-0 win on Saturday. Finished behind the Blue Jays (39-19). Lehigh Valley: LHP Jesse Biddle, placed on DL (left shoulder strain). Reading: CF Nick Williams, placed on DL (concussion); OF Dylan Cozens, added from Clearwater. Clearwater: INF Jose Antequera, added from GCL. Williamsport: LHP Luis Morales, added from GCL. manager. Ozark finishes with a 594-510 record for six-plus seasons. August 31, 1983: LHP Al Holland picks up his eighth win out of the bullpen, 4-3, over visiting San Diego. Pirates, Phillies, Expos and Cardinals are in the race as September 1 rolls around. Difference between first and fourth place is two and a half games. single season record (48 in 1980) during a 6-5 loss at Washington’s RFK stadium. August at Citizens Bank Park comes to a close with a three-game weekend series against the Padres, whom the Phillies swept in three games in San Diego earlier this month. Phillies were 3-0 vs. San Diego at home last year, wins for Burnett, Papelbon and Kendrick. Last night the red-hot Mets completed their first four-game sweep in Philadelphia since 2002 at Veterans Stadium. They did everything right in the series, hitting for power, getting bloop hits, two-out hits, solid relief pitching and great defensive plays. Last night relief pitcher Carlos Torres scored the go-ahead run after two and one-third scoreless innings. His first hit since 2013 started the four-run 13th inning. The Phillies five runs came in the third inning and that was it for the offense. It was the second time the Phillies had a five-run lead in the series only to lose each time. Phillies relievers gave up 21 runs and 11 walks; Mets bullpen, six runs and two walks in the four games. Saw an interesting stat on ESPN.com: Mets are 30-2 against the Phillies and Rockies but 0-13 versus the Cubs and Pirates. As a senior quarterback at Manatee High School in Bradenton, FL, the 6-foot-3, 215-pound athlete passed for 2,674 yards and 35 touchdowns good enough to be offered a scholarship to play the same position at Mississippi State University. When selected by the Phillies in the third round of the 2013 draft, he opted for pro ball. Sandberg isn’t related to former Phillies player and manager Ryne Sandberg. Split a DH at Scranton/Wilkes-Barre. 5-0 loss in opener and 6-1 win in the nightcap. LF Jordan Danks, 2-3, 5th HR, 3 RBI in that game, won by Chris Leroux (3-3). Next: Alec Asher (2-0) 7:05 tonight in Scranton/Wilkes-Barre. Scoring 3 in each of the seventh and eighth innings, Reading defeated visiting Bowie, 8-3. SS J. P. Crawford, 2 doubles, 2 R, 3 BB, RBI. C Andrew Knapp, 2-4, 2 RBI. 1B Brock Stassi, 13th-14th HRs, 4 RBI. He leads the league with 31 doubles and 88 RBI while hitting .309, which is fourth. ND Ben Lively, 5-3-3-3-1-5. WP: Ethan Martin (3-0), 3-1-0-0-1-3. Next: Joely Rodriguez (5-3) 7:05 tonight vs. Bowie. Rained out at Brevard County. David Whitehead (7-11) and TBA in 5:05 DH at Brevard County. Fell, 3-1, to Hagerstown. 2 hits each RF Herlis Rodriguez, 1B Damek Tomscha, CF Jiandido Tromp. Next: Will Morris (5-0) 7:05 tonight vs. Hagerstown. Seven-game winning streak ended, 3-2, in 12 innings in Batavia. 2B Luis Espiritu, 3-5. DH Matt Laird, 2-5, RBI. ND: Franklyn Kilome, 6-6-2-2-2-5. Next: Alejandro Arteaga (4-1) 7:05 tonight at Batavia. Won, 5-0, at Pirates. LF Cornelius Randolph, 2-4, RBI. Jorge Alfaro, acquired in the Hamels trade, made his first appearance after being out since June because of an ankle injury, caught 3 innings, 0-1, and hit by a pitch twice. ND: Miguel Gonzalez, 4-1-0-0-1-4. WP: Lino Martinez. Phillies missed the playoffs. Four division winners qualify and Phillies will finish in second place. Next: 12 noon today vs. first-place Blue Jays. Season ends with 10 a.m. game on Saturday at the Blue Jays. CF Nick Williams, another one of the players the Phillies acquired in the Hamels trade, has been named to the Texas League postseason All-Star team. Lakewood: OF Chase Harris placed on DL (left elbow strain); OF/INF Andrew Amaro added from Williamsport. RHP Rick Wise (14-10) hits a solo home run in the fifth inning and a grand slam in the seventh in defeating San Francisco, 7-3, in the second game of a Vet Stadium doubleheader. It is Wise’s second two-home run game of the season, tying a major league record for pitchers. Yes, who is this Phillies Alumnus? Check out Paul Hagen’s latest “Where Are They Now?” feature at http://www.phillies.com/alumni. Eight straight losses to the Mets this season after last night with one more game to go in this four-game series tonight. Thursday is the Phillies poorest day of the week, 3-10. So, if there is such a thing as the law of averages, the Phillies should win tonight. Eickhoff was touched for three first-inning runs after Herrera started the game by dropping a fly ball. Eickhoff then retired 16 in a row until allowing a sixth-inning run. Three relievers allowed five runs over the last two Mets innings putting the game out of reach after the Phillies scored four in the eighth to make it 6-4 going into the ninth. Araujo allowed his first hit since July 11 in the ninth inning after not allowing a hit to 38 consecutive batters. The Mets have set a franchise record with 40 home runs this month. Wondering what’s the Phillies record for August? 43 in 2009. 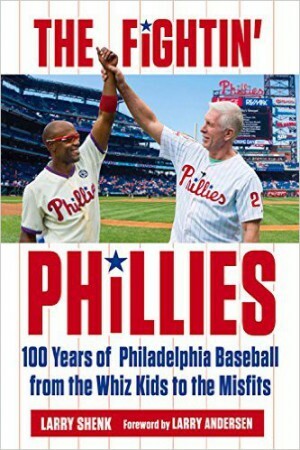 Phillies greatest month ever is 44 in June of 2004. Lost, 4-2, to Buffalo ending a 4-game winning streak. LP: Anthony Vasquez (7-7), 6.2-5-3-2-4-2. 2 hits each for SS Chase d’Arnaud, LF Jordan Danks and 3B Russ Canzler. Next: Jesse Biddle and TBD 5:30 tonight in DH in Scranton/Wilkes-Barre. Won, 8-6 in 10 innings in Altoona. SS KC Serna, 4-5, 2 R. RF Destin Hood, triple, 9th HR, 5 RBI (seventh-inning grand slam). C Andrew 2-6; saw average fall to .378. ND: Jake Thompson, 6-6-1-1-1-7. WP: Edubray Ramos (1-1). SV: Reinier Roibal (1). Next: Ethan Martin (2-0) 7:05 tonight vs. Bowie. Day off. C Willians Astudillo, leads FSL with .329 average, 10 strikeouts in 362 at-bats. LF Andrew Pullin leads FSL with 14 home runs. Next: Ricardo Pinto (7-2) 6:35 tonight in Brevard County. Won, 7-6, over Hagerstown on 1B Damek Tomscha’s go-ahead HR (5) in the eighth inning. DH Kyle Martin, triple, 3 RBI. WP: Jason Zgardowski (3-1). SV: Joey DeNato (10). Ended the game by picking a runner off first base, his 16th of the season. Next: Shane Watson (1-4) 7:05 tonight vs. Hagerstown. Won seventh in a row, 8-4, pounding out 14 hits against State College. 3 hits each for DH Zach Cappola and CF Carlos Duran. RF Jose Pujols, HR (4). WP: Jose Taveras (7-2), 6-5-3-3-2-5. Next: Franklyn Kilome (3-2) 7:05 tonight at Batavia. Won, 1-0, over Pirates in a 9-inning game that took only 1 hour, 57 minutes. 1B Luis Encarnacian and 3B Lucas Williams each had 2 hits out of 5 for the team. ND: Bailey Falters, 5-3-0-0-0-3. WP: Zach Morris (5-1). Phillies missed the playoffs. Four division winners qualify and Phillies are in second place. Season ends on Saturday. Next: 12 noon at Pirates. The Mets continued their dominance of the Phillies Tuesday night winning their seventh straight and 10th in 11 games this year. They were 13-6 a year ago, the most wins they ever had in a season against the Phillies. Over the last four seasons, 42-24. Two more games this series and then three in Citi Field starting on Monday night. A pair of two-run homers (Galvis & Howard) gave the Phillies a 4-3 lead after three innings. Galvis’ homer was their lone hit with RISP in eight at-bats. 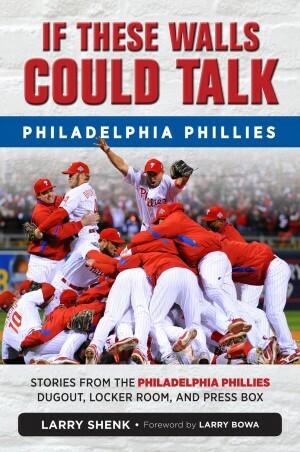 Offensively the Phillies struck out a season high 16 times. The Mets won scoring three in the sixth on three walks and two singles. Howard’s homer was his 183rd at Citizens Bank Park and #44 in 156 games against the Mets. NL RBI leaders since July 25: Carlos Gonzalez (43), Ryan and Matt Kemp (35). Game #3 in the series tonight, Colon, 42, vs. Eickhoff, 25. Colon won his first major league game on June 7, 1997. Eickhoff was six years old. When Eickhoff won his first game last week he became the second Phillies pitcher since 1920 (the first season that RBI were officially tracked) to record at least two RBI in his MLB debut. Tom Sullivan was the first. So, who is or was Tom Sullivan? The 26-year-old left-hander relieved in the second inning of a 19-7 loss in St. Louis with the Cardinals winning, 8-0, on May 15, 1922. He finished the game, allowing 11 runs (10 earned) on 15 hits. He batted four times and hit a two-run homer. His career ended 15 days after his debut, 0-0, 11.25 ERA for eight total innings in three games and that one hit as a hitter. 93 years after that hit, his name resurfaced for the first time. Chance are it is the last time. Sorry, Sully. OF Aaron Brown, Clearwater…The 23-year-old in his second professional season, hit .455 (10-22) with a home run, six runs scored, two doubles, two RBI and a walk in six games. He began the week with four straight multi-hit games, including his fourth three-hit game of the season. Brown was selected by the Phillies in the third round of the 2014 draft out of Pepperdine University and was signed by Shane Bowers. RHP Ricardo Pinto, Clearwater…The 21-year-old Pinto made one start for the Threshers, tossing 6.0 scoreless innings with six strikeouts and just three hits. He has allowed just one run in his last 19.2 innings (0.92 ERA), and over that span has surrendered just 11 hits and three walks (0.71 WHIP) while striking out 16 batters. He also was the Pitcher of the Week, June 22-28. Combined with Lakewood, he’s 13-4, 2.79 ERA, leading the organization in wins. 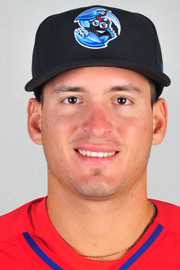 Pinto was signed by the Phillies and Jesus Mendez as an amateur free agent in December of 2011. Won fourth in a row riding a 16-hit attack to a 9-3 decision vs. Buffalo. 1B Tommy Joseph, 4-5, 2 RBI. 5 other LV batters had 2 hits each. WP: Sean O’Sullivan (3-2), 7-8-3-3-0-4. Next: Anthony Vasquez (7-6) 7:05 tonight vs. Buffalo. After a 17-hit attack on Monday, Reading was held to 7 hits (6 singles) in 3-2 loss at Altoona. LP: Ryann O’Sullivan (1-2), younger brother of Sean O’Sullivan, who was tagged for 2 eighth-inning runs. ND: Zach Elfin, 7-6-1-0-0-5. Next: Jake Thompson (3-1) 7:00 tonight in Altoona. Scoring single runs in the eighth and ninth innings, Dayton blanked Clearwater, 2-0. Threshers had just 3 singles. ND for 23-year-old John Richy, making his debut following the Utley trade, 7-4-0-0-1-3. Next: Day off today. Seven-game road trip begins tomorrow in Brevard County and ends in Daytona. Defeated Hagerstown, 6-3. LF Cord Sandberg, 2-3, 2 R, 2 RBI. CF Jiandido Tromp, 2-4, 2 R, RBI. WP: Austin Davis (4-5). SV: Matt Hockenberry (15). Next: Elniery Garcia (8-9) 7:05 tonight vs. Hagerstown. Won sixth in a row, 2-1, over State College. All runs were scored in the first inning. RF Jose Pujols hit a 2-run HR (3). WP: Tyler Gilbert (4-3), 6-4-1-1-1-6. SV: Robert Tasin (15). Williamsport leads second-place State College by 7.5 games. Magic number to clinch the division title is 7. Williamsport was last in the playoffs in 2001. Next: Jose Taveras (6-2) 7:05 tonight vs. State College. Dropped 2 games to Yankees1, 3-2 and 5-1, getting only 4 total hits. RF Greg Pickett his first pro HR in the second game. Phillies trail first-place Blue Jays by 4 games and 4 games remaining. Season ends Saturday. Next: 12 noon vs. Pirates. Reading: OF Cameron Perkins placed on DL (lower back strain). GCL Phillies: Released RHP Lewis Alezones. Special wishes to former coach Billy DeMars who turns 90 today. The Clearwater, FL, resident coached for the Phillies from 1969-1981. A middle infielder, Billy played part of three seasons in the majors with the Philadelphia A’s and St. Louis Browns, 1948; 1950-51. During his 14-year minor league career he was a teammate with Pat Gillick in Stockton, CA, in 1959-60. There’s something about Citizens Bank Park that brings out the best in the Mets. Cheese steaks, crab fries, super pretzels, water ice, pizza, south Jersey tomatoes? Trailing, 7-2 after three innings, the Mets powered their way to a 16-7 win as the first seven hitters in their lineup went deep. Hard to believe they came into the game with the worst batting average in the league (.240). Since the start of the 2012 season, the Mets are 24-8 at CBP. Wright, playing his first game since April 14, hit the third pitch he saw for a home run, his 20th at CBP, most for any enemy player. It started a home run derby in which the Mets set club records by clubbing eight homers and 15 extra-base hits. The Phillies hit three homers. Combined total is a new record for Citizens Bank Park. The 11 tied the National League record, only the second time in a nine-inning game. All seven Phillies runs and three homers came off deGrom, who entered the game with a 1.98 ERA. It is the most runs he’s allowed in any big league game and his earliest exit, 2.2 innings. Gilmartin relieved and held the Phillies scoreless for 3.1 innings. Won third in a row, 7-4, vs. Buffalo. DH Eric Kratz, 2 H, 3 RBI. RF Tyler Henson, 2 H, 2 RBI. WP: David Buchanan (4-1), 5-4-1-1-5-1. SV: Dustin McGowan (13). Next: Sean O’Sullivan (2-2) 7:05 tonight vs. Buffalo. Ended a 4-game losing streak with a 17-hit attack, 11-5, at Altoona. CF Nick Williams led off the game with a home run. He finished with 4 H, 4 R, RBI, boosting average to .357. SS J. P. Crawford, 3 H, 2 R, 2 RBI. C Andres Knapp, HR (10), 5 RBI; hitting .381. WP: Nick Pivetta (2-3), 7-7-4-3-3-5; allowed a 3-run HR in the first inning. Next: Zach Eflin (7-6) 7:00 tonight in Altoona. Blanked Daytona, 2-0, on 4 hits. 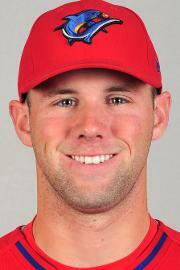 FSL player of the week, 1B Rhys Hoskins, 2B, 2 RBI. Combined with Lakewood: 34 doubles, 16 HR, 83 RBI, .314. LF Andrew Pullin, 2-4. C Willians Astudillo, 2-4; league-leading average at .332. WP: Mark Leiter (6-1), 6-4-0-0-1-3. SV: Ulises Joaquin (16). Clearwater’s overall record of 73-55 is the best in the FSL. Next: John Richy, who came from the Dodgers in the Utley trade, makes his Phillies debut 7:00 tonight vs. Daytona. Back in action tonight, Austin Davis (3-5) 7:05 vs. Hagerstown. Won fifth in a row, 4-1 over State College despite getting only 4 hits. DH Jose Pujols, HR (2), 2 RBI. 2B Josh Tobias, single, 2 R, RBI. WP: Luke Leftwich (2-1), 6-5-1-1-0-6. SV: Robert Tasin (14); only blown save came on 7/21. Win improved home record to 23-10. Next: Tyler Gilbert (3-3) 7:05 tonight vs. State College. Split a pair of 7-inning games at Yankees1, 5-0 W and 11-1 L. WP: Luis Morales (2-0), 6-3-0-0-1-2. LF Cornelius Randolph, 2-2 in second game; hitting .306. Next: 11 a.m. DH today vs. Yankees1. It is their third straight DH. 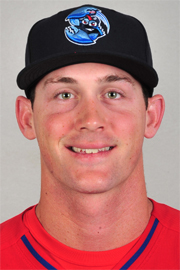 Gulf Coast League Phillies: released P Tanner Kiest. Before a double header with St. Louis, the Phillies honor Del Ennis for driving in more runs than any player in team history. Ennis is presented with gifts including a Cadillac, TV, air conditioner, freezer, diamond ring, and fishing outfit. The Phils win both games, with Ennis adding 4 RBI to his record total. LF Gregg Jefferies hits for the cycle, the first Phillie since Johnny Callison did it on June 27, 1963, 5,107 games ago. Phillies bury visiting Los Angeles, 17-4. Well, Phillies folks, it is pay-back time. The red-hot New York Mets begin a four-game series at Citizens Bank Park tonight. They are fresh from a three-game sweep in Colorado and lead the pre-season favorites, Washington Nationals, by five games in the NL East. Why the big lead? Because the Mets are 8-1 vs. the Phillies, winning the last five. Seven of the Phillies next 10 games are against the Mets who will have David Wright back. He last played on April 14. Since the All-Star Game, the Phillies are 21-12; New York Mets, 20-12. Both teams are a lot different from their last meeting, May 25-26-27 in Citi Field. The Mets’ 3.31 ERA is third stingiest in the NL yet they have no complete games. They are poison at home, 42-21, but not so poison on the road, 25-35. Exception: Citizens Bank Park, where they have won five straight series. Pay-back time. In winning three of our in Miami, the Phillies won their first series there in two years . . . Eickhoff won his first game for the Phillies before Hamels won his first in Texas . . . Eickhoff was the first Phillies starter not to allow a run in his first start since Cole . . . Eickhoff was the first Phillies pitcher to drive in a pair of runs while winning his MLB debut since 1922 . . . Sweeney’s first hit for the Phillies was a pinch-hit home run . . . Back-to-back home runs by Altherr and Ruf were the first for the Phillies since Byrd and Asche did the same in the same park in July of a year ago. Morgan starts tonight. The last five Phillies wins have come from rookies: Nola, Araujo, Eickhoff, Morgan and Nola. RHP Mitch Gueller, Williamsport. After 9-18 record over first three pro seasons, the 21-year-old has turned it around this season. Win on Sunday was his sixth in a row, boosting record to 8-1. He leads the New York-Penn League in wins and ERA (2.15). He was 5-5 last summer at Williamsport and has made the NYP All-Star team in 2014 and this year. He was selected as a compensation selection between the first and second rounds in 2012, the 54th player chosen overall. Won 2 of 3 in Pawtucket. WP in 2-0 Saturday game, Alec Asher (2-0), 7-6-0-0-0-3; Dustin McGowan had 2 saves, 11-12. Next: David Buchanan (3-1) 7:05 tonight vs. Buffalo. For the first time since July 25-26-27, Reading has lost 3 in a row, getting swept at home vs. New Britain. 1B Brock Stassi, 12th HR, 83 total RBI. SS J. P. Crawford, 6-13 in last 3 games, including sixth triple and 3 R.
Next: Nick Pivetta (1-3) 7:00 tonight in Altoona. Lost 2 to Brevard County before a 10-6 win over Daytona on Sunday. Sunday star: LF Andrew Pullin, 4-4, 4 RBI, including 13th-14th HR, matching his 3-year total before this season; hitting .351 in last 10 games. 1B Rhys Hoskins, 2-4, 2 R, 3 RBI. WP: Harold Guerrero (2-2). SV: Alexis Rivero (2). Next: Mark Leiter (5-1) 7:00 tonight vs. Daytona. Were swept in a 3-game series in West Virginia, getting just 8 total hits in last 2 losses. Tyler Viza (4-9) pitched a complete game in losing 4-2 on Saturday, 8-6-4-1-0-4. He has lost last 7 games with Lakewood scoring a total of 17 runs. Next: Day off on Monday. Swept 3 games from Auburn, stretching winning streak to 4 games. CF Carlos Duran and C Austin Bossart each had 3 of Williamsport’s 18 hits on Sunday. SV: Robert Tasin (12-13). Franklyn Kilome (3-2) won on Friday, 3-2, 6-8-1-1-1-3. Next: TBD 7:05 tonight vs. State College. Split 2 games vs. Blue Jays. WP Adonis Medina (3-1), 5-3-0-0-2-3. Next: 11 a.m. DH today at Yankees1. When the enemy bats around in each of the first two innings, it’s going to be a long night. The Marlins did that, plating four in each of their first two at-bats against Williams. In his two previous starts, Williams gave up three runs over 13 innings with no walks. Thursday night, he walked four. The Phillies battled back with three late-inning rallies but fell short, 9-7. The loss dropped the Phillies Thursday record to 3-10, worst day of the week. Phillies should ask MLB not to schedule games on Thursday next year. Facing the Marlins tonight, Eickhoff will be the fourth rookie to start this season for the Phillies and their 13th overall. Kudos to Paul for hitting the nail on the head. Randy Wolf had his contract purchased by the Tigers from Buffalo (Toronto) where he was 9-2, 2.58 ERA. He’ll start Saturday on his 39th birthday . . . Marlon Byrd was traded to the Giants to replace Hunter Pence who went on the DL. Lakewood RF Herlis Rodriguez has hit in 20 of last 21 games started, .300 on the season with 17 doubles, club-high 10 homers in 103 games. A left-handed hitter, he’s hitting .319 vs. LHP. Batting .325 this month. MiLB.com South Atlantic League Player of the month for June when he hit .373. The 21-year-old was signed in 1/29/2011 out of Venezuela. Twin brother, Helmis, is a pitcher in the same league. Next: Jesse Biddle (2-3) 7:05 tonight in Pawtucket. Rained out at home vs. New Hampshire. Next: Jake Thompson (3-0) 7:05 tonight vs. New Britain. Scoring 7 in the seventh, Clearwater downed Brevard County, 11-1. C Chace Numata led the 16-hit attack, 3-4, 2 R, 4 RBI. 3B Mitch Walding, 3-4. CF Aaron Brown, 2 doubles, 2 R. 1B Rhys Hoskins, double, triple, 3 R, RBI. WP: Yacksel Rios (6-3), 6-3-0-0-0-5. Threshers have won 4 in a row. Next: David Whitehead (7-10), 6:30 tonight vs. Brevard County. 11-hit attack carried Lakewood to a 6-4 win in West Virginia. RF Herlis Rodriguez, 2-5, 16th-17th doubles, 2 R. 2B Scott Kingery, double, 2 RBI. 3B Damek Tomscha, 2-4, RBI, R. LF Cord Sandberg, 2-4. CF Jiandido Tromp, 2-4, R, SB. C Deivi Grullon, HR (5), 3 RBI. WP: Manny Martinez (3-1). 4-out save for Matt Hockenberry (14). Next: Will Morris (5-0) 7:05 tonight in West Virginia. 14-hit attack sank State College, 9-4. 2B Josh Tobias, 3-5, 2 R, RBI. 3B Jan Hernandez, HR (10, 4 RBI. DH Mark Laird, 2-4. WP: Jose Taveras (6-2), 6.2-4-3-2-1-7. Next: Franklyn Kilome (2-2) 7:05 tonight vs. Auburn. 7-2 win on 10 hits vs. Braves. SS Arquimedes Gamboa, 2-5, 2 RBI, R. 1B Scott Tomassetti, 2-4, RBI. CF Juan Luis, 2-3, R.
Next: 12 noon today vs. Braves. Fans litter the Shibe Park field after umpire George Barr rules a line drive to CF Richie Ashburn was trapped and not caught. Umpires forfeit the game to the New York Giants. Steve Carlton’s club-record 15-game winning streak ends by the Atlanta Braves, 2-1, in 11 innings at Veterans Stadium. win, 43, in 11 innings vs. Pittsburgh. Morgan tossed a career-high seven innings, the Phillies took a page from the Blue Jays by hitting three home runs and Giles got his eighth straight save in winning, 7-4. The rookie lefty allowed two runs in seven innings in beating Toronto for the second time this season. In his other win, he gave up two runs in six innings. Frency, Altherr and Blanco provided the long balls that staked Morgan to a 7-2 lead. Five of Frenchy’s last nine home runs have come at home. Altherr got his first major league hit with an RBI double in the first inning and homered in the fifth. He’s the first Phillies player to have his first career hit, home run, RBI, run, double and walk in the same game since Denny Southern on September 10, 1926 versus the Chicago Cubs. Blanco, who had four major league home runs in 638 at-bats before this season, lined a homer into the right field seats in the fifth. It is the first time he has hit homers in back-to-back games. In a season in which the Phillies are looking for building blocks, Morgan and Altherr show more hope for the future. Granted, one game by Altherr doesn’t equate to a successful career but it is a start. Lost, 2-1, at Scranton/Wilkes-Barre. LP: Anthony Vasquez (7-6), 6.2-5-2-1-3-0. LF Brian Bogusevic, 2-4, 11th HR. SS Chase d’Arnaud, 3-5. C Erik Kratz, 2-3. Next: Jesse Biddle (2-3) 7:05 tonight in SWB. The beat goes on. Reading pounded 17 hits in winning its 15th in the last 16 games, 12-6, over New Hampshire who hit 4 homers among its 8 hits. CF Nick Williams,, 3-5, 3 R. 3B Angelo Mora, 3-5, 2 R. SS J.P. Crawford, 3-5, RBI, SB. RF Destin Hood, 3-5, 3 R, 7th-8th HRs, 6 RBI. C Rene Garcia, 3-5, 2 RBI. Andrew Knapp did not play. WP: Zach Elfin (7-6), 6-6-4-4-1-3-3 HR. Next: Jake Thomplearwater Threshers son (3-0) 7:05 tonight vs. New Hampshire. Won third in a row, 6-2, in Dunedin. 2 hits each: RF Dylan Cozens, LF Andrew Pullin, C Chace Numata, CF Aaron Brown, 3B Mitch Walding. WP: Mark Leiter (5-1), 6-6-2-2-2-5. SV: Alexis Rivero (2), 3-0-0-0-1-5. Next: Yacksel Rios (5-3) 7:00 tonight vs. Brevard County. Ended a 3-game losing streak with a 6-1 win over Delmarva. CF Jiandido Tromp, 3-3. 3B Damek Tomscha, 1-3, 3 RBI. 1B Kyle Martin, 2-4. SS Drew Stankiewicz, 2-3, SB. WP: Elniery Garcia (8-9), 6-5-1-1-2-3. SV: Joey DeNato (9), 3-1-0-0-0-4. Next: Jario Munoz (1-0) 7:05 tonight in West Virginia. Lost, 5-0, at State College. CF Carlos Duran had 2 of Williamsport’s 4 singles. 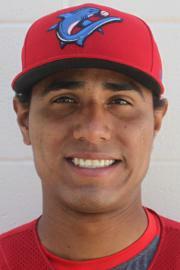 Next: Jose Taveras (5-2) 7:05 tonight in State College. Dopped 3-2 decision at Braves. LF Cornelius Randolph, 2-3, boosting average to .308; hitting .364 in last 10 games. Jim, OF Ben Pelletier, selected in the 34th round and OF Reggie Wilson two rounds earlier, were signed to 2016 contracts, a common practice for late-round selections. Scoring four times in the top of the eighth inning, the Phillies end an NL-record 23-game losing streak behind RHP John Buzhardt, 7-4, at the Milwaukee Braves. The streak began with a 4-3 loss to San Francisco on July 29. Seventeen of the losses came on the road. behind in the ninth inning to win, a stretch of 346 games. 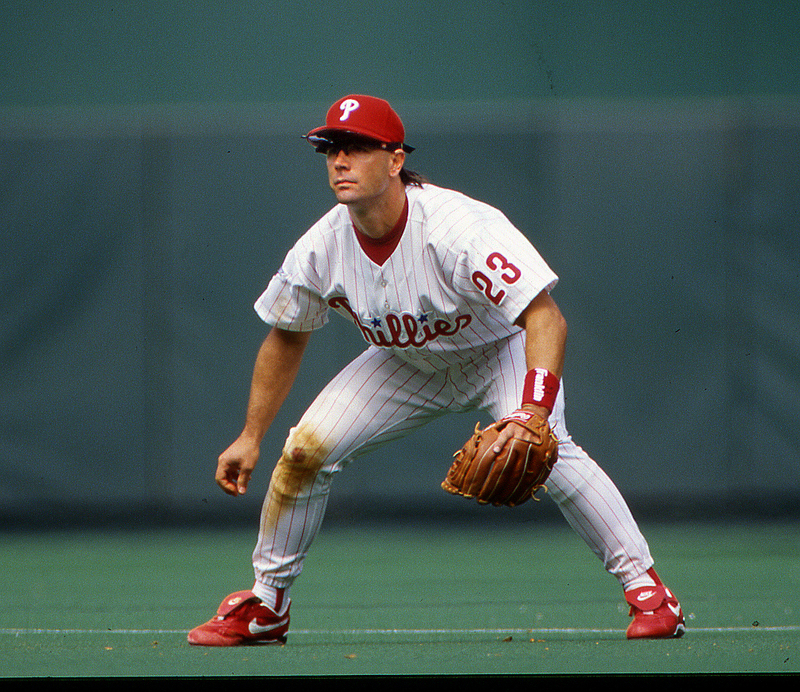 Chase had 1,623 hits in 1,551 games wearing a Phillies uniform. J-Roll, 2,306 hits in 2,090 games. Each played 46 games in 10 postseason series. Jimmy had more hits, 47-43. They are the greatest double play combination ever for the Phillies. J-Roll had 2,058 games at short and Chase 1,453 on the other side of the infield. Each played in two World Series and now have a chance for another. Of course, Chase had that historic World Series in 2009, hitting five home runs, including two, two-homer games. His first World Series at-bat in 2008? A home run. His first hit in the major leagues? A grand slam. Last walk-off hit in history of Veterans Stadium: Chase. Last batter at the Vet? Chase. A six-time All-Star, his career was hampered by knee and ankle injuries the last five years. But, it never deterred from his preparation or busting it at all times on the field. He is the ultimate example of how to play the game. Chase Utley was born and raised in the Los Angeles. He went to high school there and college at UCLA. Once a Dodgers fan as a kid, he was drafted by them in the second round in 1967 following high school. He chose UCLA and was selected by the Phillies in the first round three years later. He now returns home where he has a .320 lifetime average at Dodger Stadium. Chase is one of the most popular athletes to play in this city. Some day he will return to Citizens Bank Park to be inducted into the Wall of Fame. That’ll be goosebump city. INF-OF Darnell Sweeney is a 24-year-old switch-hitter who is ranked as the Dodgers’ 13th top prospect by the MiLB Pipeline. Playing at AAA Oklahoma City, he’s hitting .271 and leading the Pacific Coast League with 32 steals. He leads OC with 69 runs, 30 doubles, 4 triples, 42 walks and 116 strikeouts. AA All-Star last year and same honor in AAA this season. Led the Southern League in runs (88) and walks (77) a year ago. Originally a shortstop, he moved to second base last year and centerfield this year. A lead-off hitter at OC, he played center field on Tuesday and third base on Monday. He was scratched from the lineup Wednesday night. He was LA’s 13th round draft pick in 2012 out of the University of Central Florida. He will take Chase’s place on the roster and join the Phillies in Miami in time for Thursday’s night game. RHP John Richy, 10-5 with a 4.20 ERA at Hi-A Rancho Cucamonga. He’s tied for the California League lead in wins. The 6-4, 215-pounder leads the staff with 124.1 innings and 105 strikeouts. 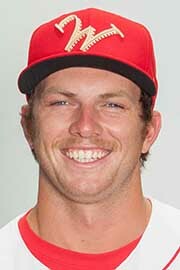 He was the MiLB.com pitcher of the week in May when he threw a 9-inning shutout. The 23-year-old was LA’s third-round selection in 2014 out of the University of Nevada, Las Vegas. Toronto’s high-powered offense did in the Phillies on Tuesday night at Citizens Bank Park. Leading, 4-3, the Phillies lost a chance to break the game wide open when they hit into an inning-ending double play with the bases loaded and no out in the fifth. One run padded the lead but the Jays put up five runs in the sixth, hitting two homers off Gomez, who had given up one all season in 96.1 innings. Nola uncharacteristically struggled with his control but battled and left the game with a 5-3 lead after five innings. In his brief big league career he had walked six out of the first 124 hitters he faced. Last night he faced 24 batters and walked four. The five Phillies runs in four innings against Dickey snapped a franchise record in which the Toronto starting pitchers had gone 20 consecutive games without allowing more than three runs. The Jays’ pen which has been the A.L’s best since the All-Star Game gave up two hits and no runs in five innings. Toronto is 21-8 since the All-Star Game; Phillies, 17-11, losing six of last seven. After tonight’s game, the Phillies head for a short road trip to Miami that is twice as long as this homestand. Phillies are back home starting Monday, a four-game series with the division-leading Mets. For the second time, the Phillies have had a rookie third baseman sustain a fracture when hit by a pitch. Franco’s season may be over after being hit on his left wrist last week in Arizona. Scott Rolen had his season cut short in 1996 with a fractured right forearm after being hit by a pitch thrown by the Cubs’ Steve Trachsel on September 6 at Veterans Stadium. It was Rolen’s 37th game, meaning he retained his rookie status for the following season. Franco has played 97 games and is longer considered a rookie. Won, 3-1, in Scranton/Wilkes-Barre behind Sean O’Sullivan (2-2), 8.1-3-1-0-1-9; SV: Dustin McGowan (10). CF Brian Bogusevic, 2-4. LF Tyler Henson, 2-run double. Next: Anthony Vasquez (7-5) 7:05 tonight in SWB. Won 14th in last 15 games and improved to 8-0 at home this month with a 6-5 win over New Hampshire. C Andrew Knapp, 2-4, HR, 2 RBI, extending hitting streak to 16 games. Won game in the eighth inning when Knapp doubled (33rd) and scored the league run when the third baseman committed an error on a bunt by 2B Angelo Mora. NH scored three in the first inning off Nick Pivetta who gave up two more before leaving the game after 3.2 innings. Relievers Edubray Ramos, Reiniier Roibal and Ryan O’Sullivan combined for 5.1 hitless, scoreless innings. WP: Roibal (5-1). SV: O’Sullivan (3). Next: Zach Eflin (6-6) 7:05 tonight vs. New Hampshire. Won, 9-4, vs. Dunedin. 2-3-4-5-6 hitters in the lineup: 11-21, 7 Rm 7 RBI. 1B Rhys Hoskins, HR (7), 15 including Lakewood. CF Aaron Brown, HR (10). WP: Matt Imhoff (7-4), 5-5-2-2-2-6. Next: Mark Leiter (4-1) 6:30 tonight in Dunedin. Lost 13th in 17 games at the hands of Delmarva, 8-2, getting 8 singles. RF Herlis Rodriguez hit in his 19th consecutive game. Next: Elniery Garcia (7-9) 7:05 tonight vs. Delmarva. Next: Tyler Gilbert (3-2) 7:05 tonight in State College; first game back after the All-Star Game. Scoring twice in the eighth inning, the Phillies nipped the host Astros, 2-1. C Greg Brodzinski, 2-3, RBI. Miguel Gonzalez started, 2-1-0-0-1-3. WP: Luis Morales (1-0), 4-1-0-0-0-6. Next: 12 noon today at Braves. Phillies have 10 consecutive postponements, August 10-19. Guess they didn’t have tarps back then. 54,288 are on hand when Phillies blank San Francisco, 3-0, at Veterans Stadium. Happy Days softball team, featuring Henry Winkler, plays before the Saturday night game.